People RICHARD JOHNSON | Brailsford & Dunlavey, Inc.
Rick Johnson has over 40 years of experience in Higher Education and Hospitality, most recently serving as Associate Vice President for Student Affairs at Duke University. Prior to his tenure at Duke, Rick provided leadership to one of the largest combined Housing and Dining programs in the nation, Virginia Tech. Rick provided vision and leadership for the transformation of housing and dining at both Duke and Virginia Tech. Under Rick's leadership Virginia Tech dining was ranked #1 by the Princeton Review twice, and received the coveted Ivy Award. Rick initiated Housing master plans at both Virginia Tech and Duke resulting in over $400 M in renovations and new construction. Duke dining was recently ranked #1 by the Dailey Meal and received the Innovator of the Year Award from Food Management magazine. Rick's areas of expertise are: housing and dining master plans, program reviews, renovation planning and design review, contract negotiation, and operational analysis. Rick received his BA in History from the College of William and Mary and MBA from Averett University. 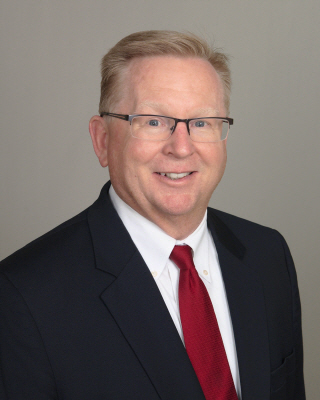 Former Duke University executive, Rick Johnson, joins Brailsford & Dunlavey (“B&D”) as a senior consultant in its foodservice consulting practice. Johnson, previously an associate vice president for student affairs at Duke, brings over 40 years of experience in the hospitality industry, including 17 years of housing experience. In his new role he will advise B&D’s higher education clients on foodservice planning and operations, as well as guide them through the critical vendor selection process. Johnson recently planned and implemented the most innovative and cutting-edge new dining facility in the United States, as Duke opened its highly acclaimed West Union. Prior to his time at Duke, Johnson led several high-profile initiatives at Virginia Tech as director of housing and dining services, elevating its program to number one in the country. He also transformed housing on campus via a master plan and building initiatives–just as he did at Duke. Private sector experience set the stage for this ample success: Johnson played key roles at Marriott and Aramark. B&D has more than two decades of experience providing advising services that reflect the unique market and financial drivers of foodservice; the addition of Johnson further enhances the firm’s capabilities and expertise. It also reinforces B&D’s commitment to its foodservice practice, after welcoming senior consultants John Cornyn and Joyce Fasano, formerly of The Cornyn Fasano Group, in 2013.